Well, to the point that they don’t get an angry letter from the Lego Group asking them what the hell they think they’re doing, that is. But this new line of miniature toys based on Akira Toriyama’s designs of some of anime’s most recognizable heroes do walk a pretty damn fine line. 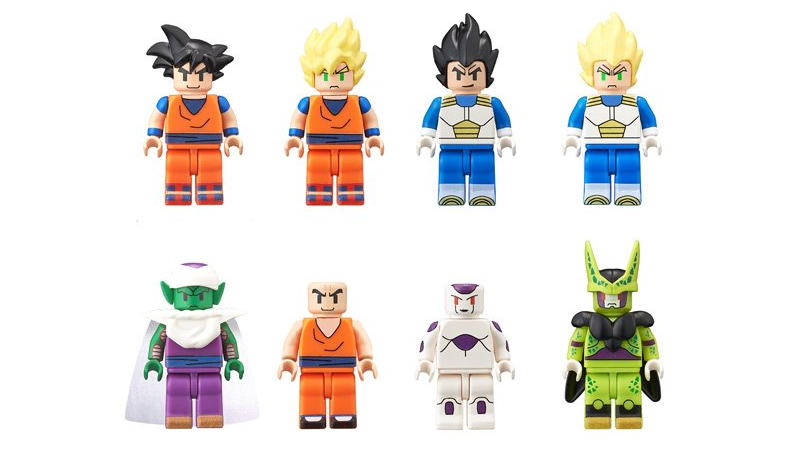 The line of tiny “Figmes” include Goku, Vegeta (and super-saiyan powered up versions of them), Krillin, Piccolo, Frieza and Cell, and given that they’re around 500 yen—or $4— each, they’re most likely to a very similar scale that Lego’s own minifigures are. It’s impossible to tell if their feet let them get secured onto building blocks, but given just how insanely close to Lego minifigures these guys are, it wouldn’t be surprising if you could just pop them into a Lego set and be none the wiser, outside of the exaggerated and simplified faces. Maybe not so surprising, given the popularity of cheap, blind-bagged toys that’s swept the world, but it’s kind of amazing to see something like this from Bandai, just for the sheer comparison to Lego. The Dragonball Z figmes will hit Japan in March 2016.